In August, the author’s wife Rose is 17 weeks pregnant with their third child. When the waters suddenly break, the medical verdict is grim: the child has literally no chance to survive. Rose struggles to give up on the life inside her, and a rift opens up between the couple. But a heart-breaking decision must be made. Only a few months later, Rose is pregnant again. And now with twins. In May, less than a year after vacillating between life and death, they receive two tiny babies, 13 weeks prematurely. This time, a struggle for life begins. 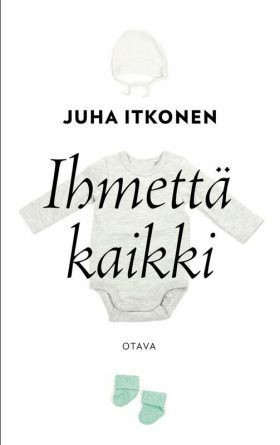 The acclaimed author and now father of four, Juha Itkonen has written an autobiographical book about an extraordinary year in his family. It’s a deeply touching and relentless account, told by a modern father who despite all his commitment cannot sometimes be but an outsider. “On this ride, a man crumbles many a time. But the author knows his profession and excels at putting into words something that borders on the impossible: the question of life and death, applied to one’s own children, goes beyond reason ... The real protagonists of this story are the small ones. "